Facebook has shared more details of the efforts it made to remove videos of the Christchurch attacks. Fifty people died and dozens more were injured by the twin shootings at two mosques on 15 March. No reports about the graphic content in the live stream were made until 12 minutes after it ended, said Facebook. The information comes as ISPs in Australia and New Zealand reveal they have blocked dozens of sites that shared videos of the attacks. 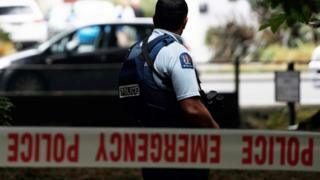 New Zealand's Prime Minister Jacinda Ardern has condemned the shootings as a "terrorist attack". Guy Rosen, vice-president of integrity at Facebook, said in a blog that when users reported the video, they did not use terms or tags that would have prompted the social network to review it more quickly. "The video was reported for reasons other than suicide and as such it was handled according to different procedures," wrote Mr Rosen. The incident led Facebook to re-examine its reporting system, so that it can react more quickly to live videos showing disturbing or graphic content. It said it was also reviewing the way it shared information to make it easier for other organisations and sites to spot copies. Facebook said the automatic systems it uses to spot propaganda or terrorist output were caught out in two ways with the Christchurch videos. In total, 800 different variants of the video were found and blocked on Facebook. ISPs in the region have also stepped up efforts to stop the video circulating by blocking sites that were actively sharing it. The sites blocked included 4chan and 8chan as well as LiveLeak and Voat. The decision to block access was made independently by ISPs in the wake of the deadly attacks. "This was an extreme case which we think requires an extraordinary response," Vodafone Australia said in a statement to news organisations. Australian ISP Telstra said although the decision to block access may "inconvenience" some people it felt the decision was "the right thing to do". Some of the Australian blocks were short-lived with access restored only hours after the sites were cut off. Australians were allowed to view the sites again once they removed copies of the Christchurch video. Larger sites such as Facebook and Twitter were not blocked because of the "active steps" they took to remove material.